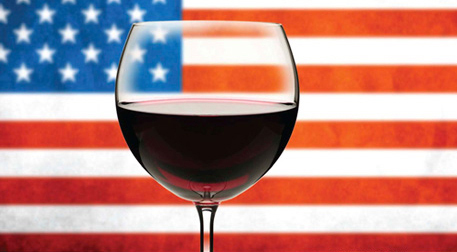 A return to the White House by the Clintons could be a trump for the South African wine industry which is struggling to make in-roads into the world’s largest wine market. For were President Hillary Clinton to take the keys, husband and former president Bill would be tasked with selecting the wine served at official White House events. Tradition calls on the First Lady to choose wines in conjunction with the White House Sommelier, and with Bill set to become First Husband, Cape wine will find a warm welcome at the most important address in the world. For the past few days I have been fielding calls from concerned friends living in far-flung foreign lands. South Africa is, once again, engulfed in flames and smoke, and I am getting more invitations to hot-foot it to other countries than a Russian stripper gets marriage proposals from customers on their 2nd bottle of Grey Goose and 4th lap-dance. 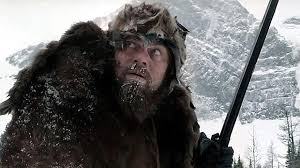 Leonardo DiCaprio does a lot of things in Alejandro González Iñárritu’s epic film The Revenant, currently on circuit. Besides wrestling grizzlies, shooting Indians, doing canoe-less white water rafting and self-medicating his wounded torso, there are some interesting foodie scenes involved. WineGoggle caught up with Chief Cloudy Lees, a sommelier in training and member of the Sioux tribe who is currently visiting South Africa as a guest of Cape Ethnic Wine Outreach, to talk about wines which can possibly be paired with the dishes shown in the Oscar-nominated masterpiece. WineGoggle: What are your impressions of South African wine? The Chief: Like most of my compatriots, I dig the big red stuff. Your Shiraz and Cabernet Sauvignon is the business and can give Napa a real run for its money. On the white side, your wines are, like, out there. I am taking cases of Chenin Blanc from the Breedekloof back for the tribe – after a stretch of scalping there is nothing like a cool, crisp dry white wine and I am going to convert my people to seeing Chenin Blanc as the go-to wine for scalping. Tastes pretty good after a bison hunt, too. Gets the horse-sweat out of your mouth. No matter how long it turns out to be, life appears too short to understand Italian wines. The 2000 plus grape varieties, regions, sub-regions, villages, communes and city boundaries that constitute the nation’s vinous character make the divisions of Burgundy and Bordeaux look like kid’s stuff. It is supposed to be a joyous annual occasion, but somehow I am always left with a thickness in the throat and a sense of loss. Once a year I head out to Kanonkop Estate to collect my annual wine allocation, a trip during which from the outset everything around me looks brighter and sharper, all appearing right with the world due to the knowledge that within an hour a few boxes of South Africa’s best red wine will be mine. It is appropriate for one of Stellenbosch’s finest eateries to be situated in the down-town area, Lower Dorp Street way: for up in the town’s more gentrified quarters the inhabitants are far too busy dealing with their Banting diet-induced constipation and protein-fuelled halitosis to appreciate the wonders of a restaurant called Asta. For Asta is about pasta, pasta and more pasta with a bit of pizza thrown in for those who like their carbs crispy, flaky and cheesy. Trying to stretch the limits of my original and unique Millennium® 1000 points scale for judging wine, I had a look at my expansive collection of Kanonkop wines. It was enough to give me a semi-woody: Pinotage 1973. Paul Sauer 1990, 1995, 1998. Cabernet 1982, 1988 and 1997. But I decided to haul out the Kanonkop Cabernet Sauvignon 2004, a vintage characterised by late berry-set, a pungent north-east breeze during March and a bit of hail in February. Average in the greater scheme of things. Boere preparing to take on Bordeaux together with a representative from WIETA. ?+¦-+?+¡Thunder rolls as I hit Bloemfontein. Raining big fat dollops of splashing water. The sky is grey, the earth wet and the city smells like an oxygen tent inhabited by Sophia Loren. First stop on my jaunt to Mangaung for the ANC’s National Conference is Casa Van Zyl. Said Casa is inhabited by Jan, my second cousin, and his lovely Dorette. In wine circles they are possibly better known for being the parents of the Coco Chanel of South African wine-writing, one Jeanri-Tine van Zyl.